This photo is a still from a video currently doing the rounds on the Internet and in social media. The star of the video is Wounda, an orphaned female chimp that was raised at the Jane Goodall Institute in the Tchimpounga Sanctuary, The Republic of the Congo. 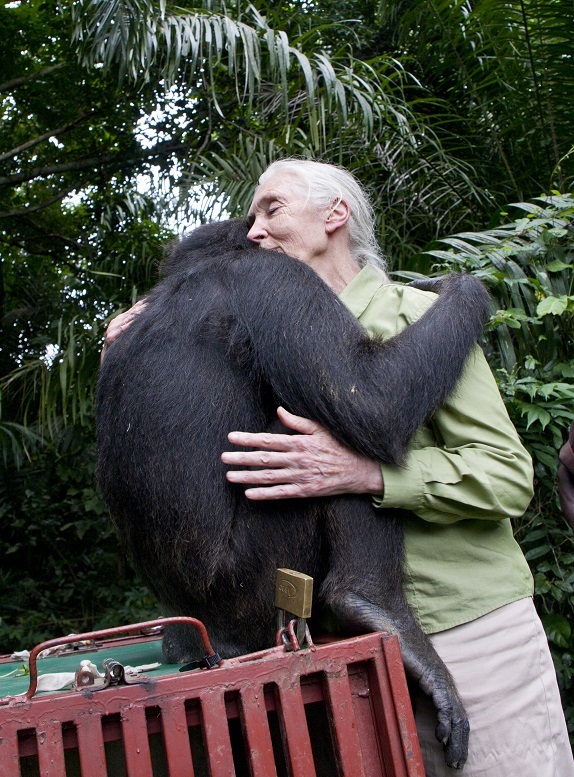 The video follows Wounda as she is returned to the wild by Jane Goodall and her colleagues. I suggest that you watch the video before reading further (Be prepared for no spoken sound track, only music). The sadness of the chimp at leaving her human friends is touching, but the video depicts something else that is equally striking in my view. Wounda takes her leave reluctantly, stopping several times to look at her friends. Just before she finally disappears into the jungle she again pauses, but only half turns towards her human friends. It is as if she is saying, “Hard as it is, the choice to leave is one I have to make”. Despite the powerful emotional pull that life with humans had on her, Wounda chose to “claim her wildness”. She chose to abandon a life that was not genuinely hers for the world to which she authentically belongs – the world to which her brain and body are adapted. All species are adapted to one particular environment or another. They have what scientists call their environment of evolutionary adaptation (EEA). This is usually the environment where a species is best able to deal with the basic issues of survival and reproduction, such as finding food, securing shelter, finding mates, avoiding predators and combating pathogens. If we want to understand the features and capabilities of a particular species, including our own, we need to look no further than the environment in which the species evolved – its EEA. Wounda’s parting was tough on her and her human friends. But these friends fully appreciated that the best place for Wounda was the jungle where biologically she was meant to be. I believe that, in her own way, Wounda shares this understanding and in choosing as she did, she displayed a form of “wisdom” – not a wisdom born of experience but of innate intuition. The bodies and minds we inhabit were designed for a very different world to the one we now occupy. As far as we know, no organism has been part of such an experiment in evolutionary biology as we are undertaking – adapted for one life yet living another. Although we are biological aliens, we have adjusted remarkably well to living in urban environments – but only because we are learning to cope with our new habitat, not because we have evolved to do so. In fact, everything that human brains have accomplished in creating and living in urban environments is grounded in functions that evolved to support life in natural environments. This means that our brains remain functionally attached to our nature-dwelling past. We are far too removed from that past, of course, to make returning to it a realistic option, even if we wanted to. We are far too set in our urbanised ways and far too dependent on urban culture and amenities. We cannot do what Wounda did – choose to adopt completely the way of life of her species. Few of us would want that anyway, given the benefits that have come with urbanisation in such key areas as agriculture, science, technology and medicine. These benefits make us far more successful at addressing the issues of survival than were our nature-dwelling forebears. But the message Wounda has for us is this – no matter how attractive and nurturing our alien environment may be, it can never completely replace the environment of our origins. It is true that alien environments allow us to realise some of our true potential. But to realise that potential completely we need nature in our lives. relief from some of the symptoms of Attention Deficit-Hyperactivity Disorder. It is also widely believed that, by promoting free, unstructured and creative play, nature provides optimal stimulation for healthy brain development. That is one of the main reasons why, in my book, Claim Your Wildness, I place nature-play at the heart of an authentic childhood. Tree-climbing Annie is having an “authentic childhood”. 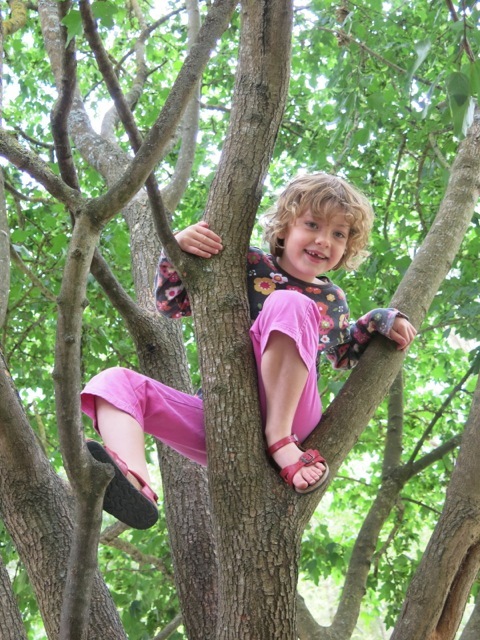 This is not simply because she gets to climb trees, but because her body and mind are constantly doing the things they have evolved to do – the things that they need to be doing if they are to develop and function optimally. Like everyone else, Annie was born with a natural capacity for engaging the world around her. She arrived on the scene ready to be an active participant in eliciting, maintaining and seeking opportunities for stimulation and learning. In the first weeks of human infancy, when vision and mobility are limited and much time is spent sleeping, there is little obvious evidence of this. But in no time at all it becomes clear that, rather than being a bundle of passivity and helplessness, a human baby is an extraordinary package of potentialities – for looking, attending, grasping, communicating, socialising, sitting, crawling, walking, running and, yes, climbing, for example. All of these potentialities exist to give the human baby the best possible chance of thriving in the world she has entered – and, as far as her brain and body are concerned, that is the world of people and of nature. The human baby’s big toe is a striking illustration of what I mean. It points straight ahead unlike that of any other animal, even chimps, our closest genetic relatives. Human bipedalism, upright stance and ability to stride for long distances are largely down to our forward pointing big toe. 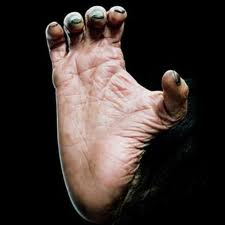 The toe got to be this way as our ancient primate ancestors changed their address from trees to grasslands – where a walking rather than a tree-climbing foot was a far greater advantage. Just as swinging through the branches is an essential ingredient of a chimp’s authentic life, so walking and all the associated activities helps to define what an authentic life is for us. It is no wonder that walking has been described as the “perfect exercise” (especially if it is undertaken in natural settings) and is included in all prescriptions for a healthy lifestyle. 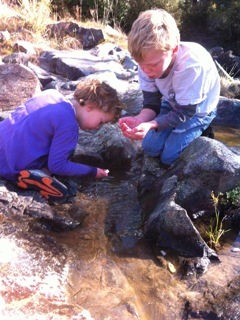 A childhood without walking and its many spin-off activities is difficult to imagine. It would be an “unnatural” childhood – one that prevents the child from being genuinely and fully a child. Such a childhood could never be thought of as authentic. Equally, a childhood lacking the psychological stimulation and CHALLENGE of nature fails the test of authenticity. 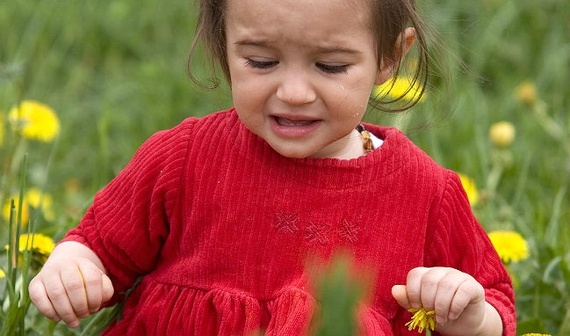 The child’s brain as much as her body is primed for engagement with the natural world. expect living things (things that move by themselves) to have “insides”. 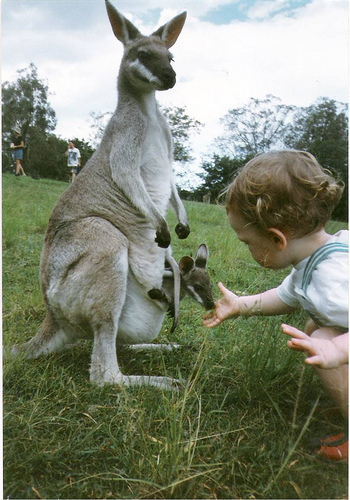 Such “core knowledge” is the foundation of the infant’s ability to engage the natural world. As I will explore further in the next post, such engagement is essential for all aspects of her psychological and social as well as physical development.